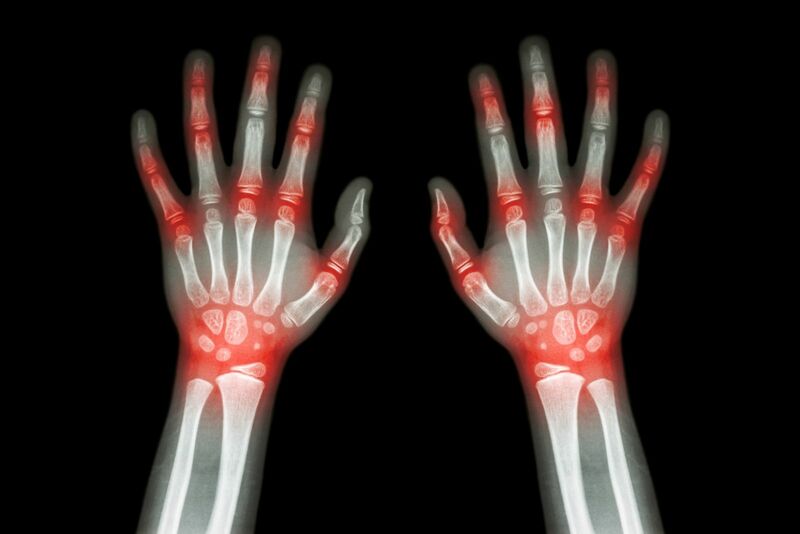 Arthritis, which refers to an inflammation of the joints, is one of the most common of disabling conditions. Specifically, osteoarthritis affects approximately 27 million Americans and accounts for 25% of all doctor visits. It is often referred to as degenerative joint disease or the wear-and-tear arthritis. It is caused by a deterioration of the cartilage that covers and cushions the joints, making most movement painful, or at least uncomfortable. The worse the disease gets, the less effective the affected cartilage becomes, causing tendons and ligaments to stretch and, in some cases, bones to rub together. Although osteoarthritis can affect any joint in the body, the most common affected areas are the joints in the hips, knees and spine intended to carry your weight. As the cartilage wears away and the joints lose their flexibility, the stress put upon them by standing or walking is what causes the pain that can be debilitating. The usual symptoms of the condition are a continuous, stinging pain in the muscles around the affected area and stiffness in the joints that can hinder the ability to move. Two types of the condition exist. Primary osteoarthritis is related to the aging process, but is not caused by aging. Secondary osteoarthritis occurs as the result of having some other disease. The former is more common, as the disease has often been mistaken as an inevitable part of aging. In truth, though most people over the age of 60 have it, it also often appears in individuals in their 40s and 50s, and can affect those as young as 20. If you have osteoarthritis and it keeps you from being able to work on a full-time, continuous basis, you may be eligible for Social Security disability benefits. Call Attorney Nick A. Ortiz with the Ortiz Law Firm at 850-308-7833 for a free case evaluation and additional information on how to receive SSDI disability benefits if you have been disabled by osteoarthritis.